The FANG stocks can be quite polarizing for investors, and Netflix (NASDAQ: NFLX) is no exception. The streaming video giant (and the N in FANG) also may be the most volatile of the four. You can usually count on it for some action every few weeks or so. Of course, NFLX just posted earnings so there was bound to be a lot of volatility associated with the event. But even before earnings, the stock had been plenty active. As you can see from the chart, there’s over a hundred point range in less than a month. Last earnings period in 2018, NFLX beat earnings substantially. But, poor market conditions (and a high valuation) led to a steep decline in the share price. The drop ended and the reversal began right at the end of the year. Since that time, the stock has mostly gone straight up until just recently pulling back. Along with momentum from the stock market recovery, NFLX headed higher in January due to higher viewership numbers. And then, the company announced it would be raising prices. Since NFLX appears to be a fairly inelastic good, most customers will continue their subscriptions after the price hike. That means a bigger bottom line for the company. On the other hand, the recent earnings news wasn’t stellar. The results weren’t exactly disappointing, but they don’t blow away expectations either. And, the company’s high cash flow needs are a clear reason why raising subscription prices had to take place. A well-capitalized trader just made an expensive bullish bet on NFLX that expires in April. The trader purchased the April 320-330 call spread (buying the 320 call and selling the 330 at the same time) for $5.40 with the stock price at $321.90. The trade was executed 2,680 times for a total cost of $1.4 million. The cost of the trade, the $1.4 million in premium, is the max risk on the trade. The trade breaks even at $325.40, and can achieve max gain at $330 or above by April. The $4.60 in max gains translates to $1.2 million in profits, or 85% gains. Now, it may seem like $1.4 million is a lot to spend to only make 85% – at least for a volatile stock like NFLX. However, keep in mind that the trade is already in the money. There’s $1.90 in intrinsic value already in the spread, so really the trader is only paying an extra $3.50 for the position. 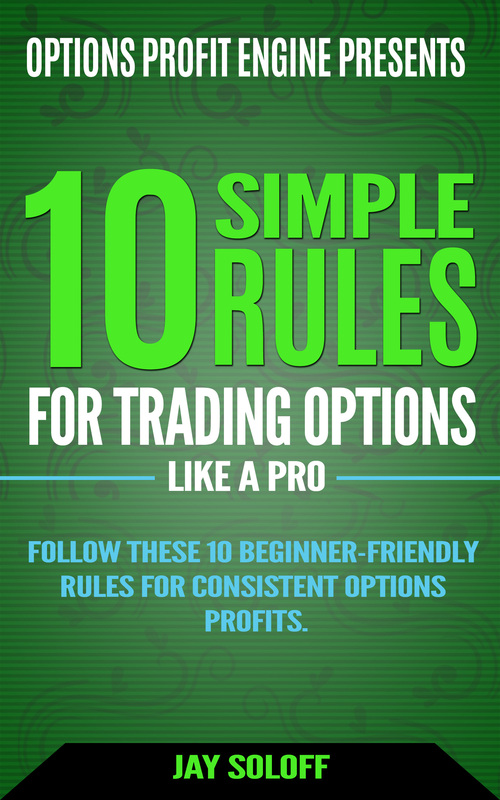 Moreover, being in the money substantially increases the probability of the trade’s success. This is an expensive call spread on NFLX, but it has 3 months to expiration and is higher probability than most large call spreads you’ll see. 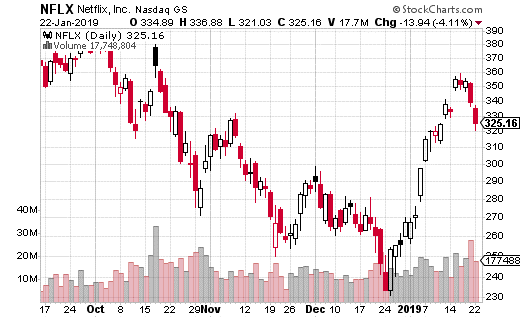 If you are bullish on NFLX, this is a reasonable idea for a trade if you have a bit more money to spend on premiums.